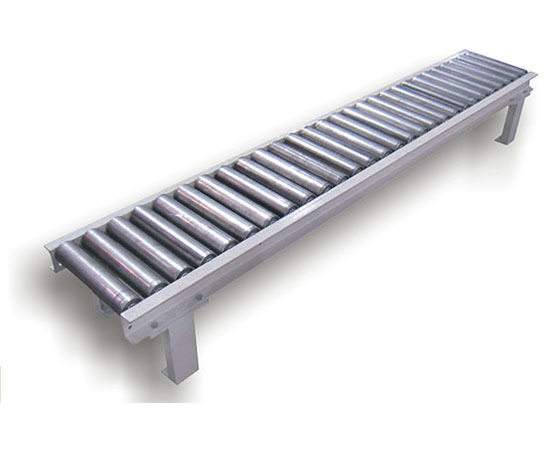 Systec Conveyor’s Gravity Roller Conveyor (GRC) is the best built conveyor available. Rollers for this conveyor can be specified for the application, ranging from DOM, high-strength tube, to galvanized tube for non-mar or corrosion resistant use. The bearings for the rollers also can vary based on the environment of the conveyor, from oiled bearings to sealed, grease packed. All-welded steel frame construction. Each piece is jig set and welded for exact position and tolerance. Heavy duty, structural steel side frame and tie-brace construction that is engineered for years of reliable service and will hold up under the most abusive environments. Legs are welded structural steel with laser cut top and bottom plates for precise fit. The leg sets can be custom engineered for varying top-of-roller (TOR) heights due to un-level floor surfaces or incline/decline conveyor applications. Leg shims can also be added to achieve TOR's in one sixteenth of an inch increments.